In the near future, fleets of sentient warships that model themselves after WWII-era ships appear out of nowhere. Armed with technologically advanced weaponry and defenses, they sweep the seas of terrestrial vessels. The Fleet of Fog (FoF), as it's known, goes on and blockades all nations and shuts down communications between them. Humanity has one trump card: the I-401, a FoF submarine that is commanded by Chihaya Gunzo, a JMSDF student who wants to change the world. Gunzo is on the left. The loli on the right is Iona, the "Mental Model" of I-401. Ships of certain size have the ability to create Mental Models for reasons that are left unclear, particularly as it turns out that they are the main weakness of the FoF. Every Mental Model that we encounter in the series winds up being corrupted by human contact, eventually defecting from the FoF or flat-out actively siding with humanity! 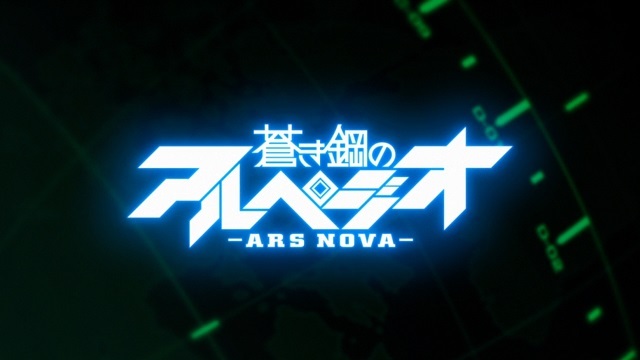 In fact, the show literally would not get past the first episode if this wasn't the case, as we learn early on that Iona corrupted the Mental Model for the FoF battleship Hyuga, who defected to the good guys and turned Iwo Jima into a secret base. If Mental Models were just a way to interface with the human crew, that'd be fine... but why exactly would this mystery fleet need to do so? In one episode, it's mentioned that it's so the FoF could "learn tactics," but then, why do the ships have spaces and equipment for human beings? It's not like AI-controlled ships need heads and berthing places, after all. 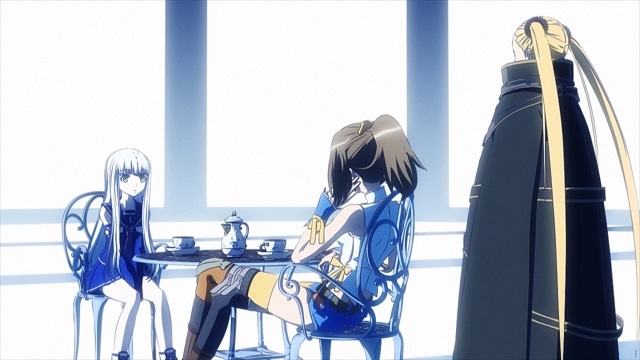 This is the first of many plot holes of Arpeggio of Blue Steel, and probably the worst. In reality, the answer is pretty simple: the production staff wanted to have cute girls be the avatars for WWII warships. And have them drink tea. This is how Mental Models converse between themselves. 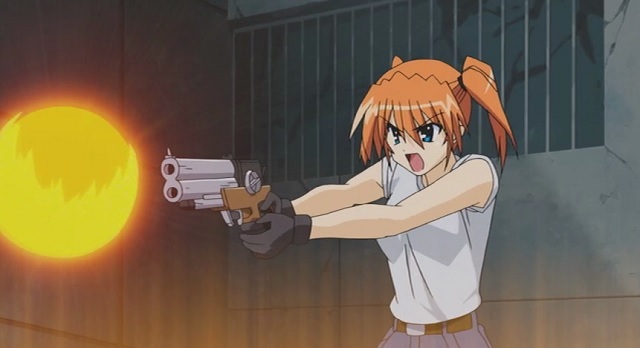 It was somewhere around this point that I realized that Arpeggio of Blue Steel was ripping off The Matrix, and the final fight confirmed it. I mean, the Kongo may as well have become Agent Smith given the speech she gives. It isn't word for word, but it gets the same point across. My biggest peeve with the show, however, has nothing to do with that. Here, allow me to introduce you to the crew of I-401! Got it? Good, now forget 'em. Other than Gunzo and Iona, none of them serve any purpose other than to say "torpedoes inbound" or "guns ready". I'm not entirely convinced we ever learn the name of the guy in the helmet, though we do know he wears it because of allergies. But that's the problem! You got the guy with the goggles, the guy in the helmet, the wrench wench, and the girly-girl. That is the entirety of their characterization. We don't even learn how they wound up serving on the I-401, though in a flashback we learn that three of them knew Gunzo in school. I desperately wanted a reason to care about these people, and was hoping for a single episode that gave us background on them, and we never got it. This, possibly more than anything else, annoyed me the most about the series. The story is pretty basic stuff. The I-401 is assigned to carry a new-style game-changing weapon to the US for mass production, as Japan no longer has the production ability. The FoF tries to stop them, and along the way winds up losing more and more defectors to the Good Guys. The FoF flagship, Kongo, gets seriously target-fixated and goes nutso trying to kill Our Heroes. Drama occurs. We never really learn anything about the men who assign the missions, despite them obviously being huge Puppet Masters. We also don't find out why they think taking I-401 away from Gunzo is the best thing possible, to the point of having them held at gunpoint a few times. Between all of this and the lack of characterization, it leads me to one of two conclusions: either this is supposed to be the first of a couple of series, or they just assumed that everybody watching had read the manga already. One thing worth noting is that Arpeggio of Blue Steel is the first anime series to be entirely computer rendered. This does lend it a certain style that may be a little difficult to adapt to for some. I was okay with it for the most part, though there were a few moments where it clunked and clanged. On the whole, I can't recommend the show. It just isn't all that good, though it has its moments. If there was a show that screamed for more episodes during the original airing, this is the one. Another three would probably made this a lot better... one to give us backstory on the crew, one to make the battle with the US Fleet more than what it was, and one more for an epilogue. Would that have been too much to ask for? 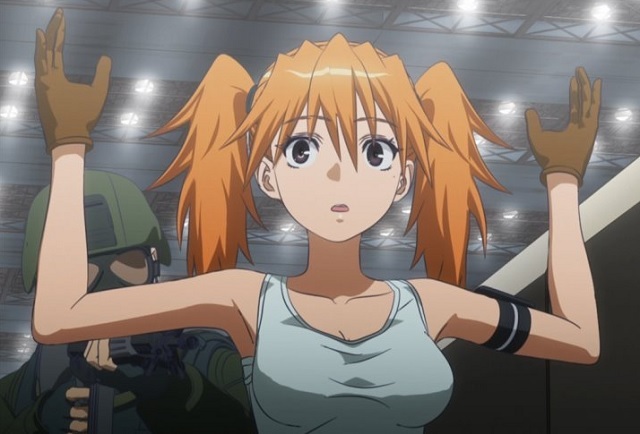 ...it's good to see Teana from Striker S getting work. 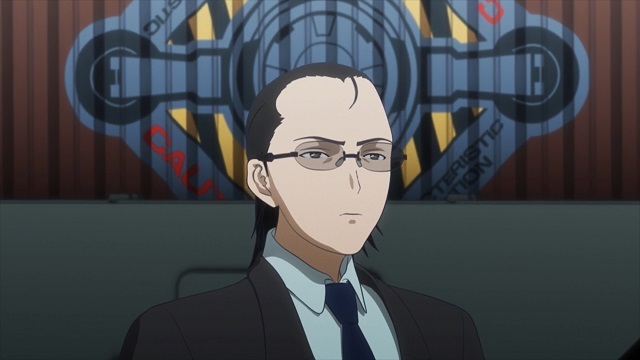 Iori, engineer of the I-401. 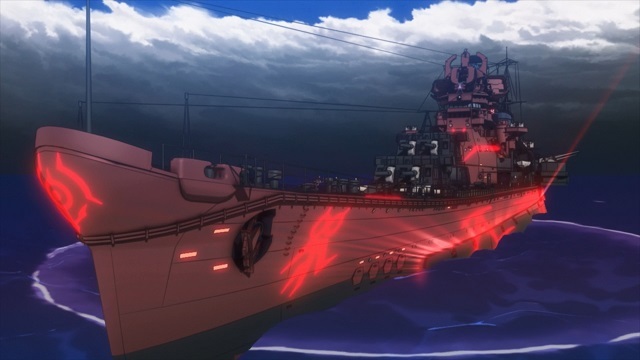 ... Battleship Haruna has never looked so good. ... I don't see the resemblance, m'self. I watched the series in two stints, nine episodes and three the next morning. This is one of the few shows that I can think of that this is the best way to view it... it gives less time to think about the problems. 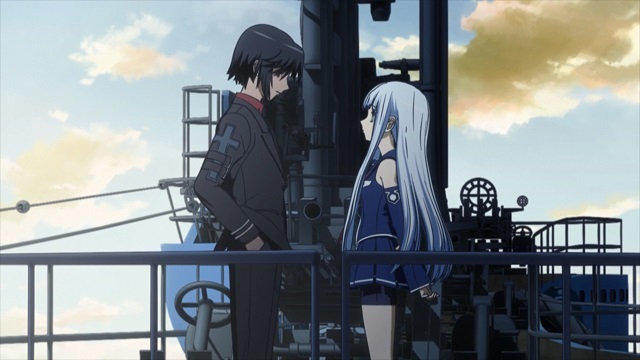 Arpeggio of Blue Steel: Watch It In A Hurry! Post contains 1025 words, total size 8 kb. I don't see the resemblance, m'self. 3 I gave up on the manga (which I started so that I could try to glean some freakin' backstory for this mess) once I realized it was going to just keep throwing wacky new ship-avatars at us every time the writer(s) ran out of ideas. The impression I got was that it was going to build to some sort of confrontation/reunion between Gunzo Jr and his papa. I'd forgotten about the fully-CG aspect. It took some getting used to but... not as much as I thought it would. 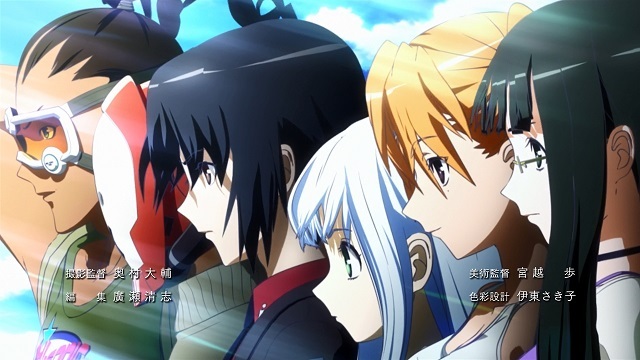 The story and characterization may have been crappy but the show certainly LOOKED good. Gunzo's father pulls some kind of Mazer Rackham/Pickard/fabulous maneuver against the FoF at the tail end of the war, and the FoF becomes aware that there is something that they don't understand that, optimally, they should. Learn from your mistakes and all that. Seeking this understanding, the FoF undertakes to simulate humanity, which turns out to be a humongous mistake for a reason they were unable to foresee. Namely, that any amount of emotion is enough to override something that you're doing 'just because'. That's the crux of the story, and everything that happens follows. The reason for the interiors of the ships is the same as for the exteriors of the ships: A mystery. Though it's easy to assume it's the same kind of reason why Ford Prefect is called Ford Prefect... and was at any rate to me a cool gimmick that made them more eerie and interesting than if they had just been a generic Advanced Tech Menace. The functional part of the tech was all force fields anyway, the rest is probably superfluous as long as it's aquadynamic. As for J Random Bad Guy, this seems to be a Japanese thing that surfaces with authority figures in shounen anime. Captain Earth would be a recent example that was absolutely miserable with it, though I can't in good conscience recommend watching it to see what I mean. At any rate, considering the target demographic and everything, it's not unusual for the Old Guys to be somewhat cartoonishly ridiculous... though in this particular instance, maybe the reason they didn't feel comfortable entrusting the future of humanity to Gunzo is that he's apparently the kind of guy who'd take four of his closest friends along for no particular reason when all they do is make the ship run less well. What I would have liked from the show but didn't get was some kind of emotional payoff for Iona. I also remember thinking that there was something silly about the last fight, and the ending was indeed rushed... but that's the only big thing for me. I feel like if they'd taken more rope, they probably would have ended up hanging themselves with it, but as it stands it was a really interesting experience and unusual anime. It's possible that your viewing experience would actually have been improved had you watched it when it was airing. I did, and I certainly seem to have gotten the better deal! 5 It's possible that your viewing experience would actually have been improved had you watched it when it was airing. I tried. The show couldn't hold my interest. It was only because I could marathon it that I was able to get through it. Much of what you're saying about Gunzo's father makes sense, and indeed is confirmed in the manga... but we don't know that, and the series doesn't tell us anything to infer it from. Handwaving the details and interals of the ships by saying "it's mysterious" is exactly what the production staff would do. This is not a good thing. That's swell, I've seen enough anime to know that, but they did a particularly poor job of it in Arpeggio, bad enough that I had to comment on it. Oh, and as far as "making the ship run less well" goes? We don't know that... we don't know ANYthing when it comes to the crew. Clearly we disagree on Arpeggio. Maybe I'm missing something, but I don't think so. 32kb generated in CPU 0.02, elapsed 0.0318 seconds. 23 queries taking 0.0172 seconds, 38 records returned.